What a gorgeous day in Charlottesville: warm sun and gentle breeze. 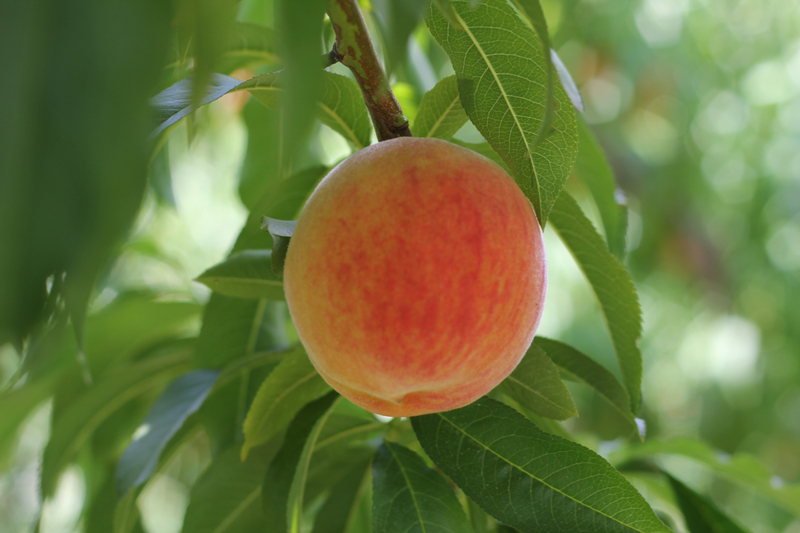 The perfect weather to go peach picking. 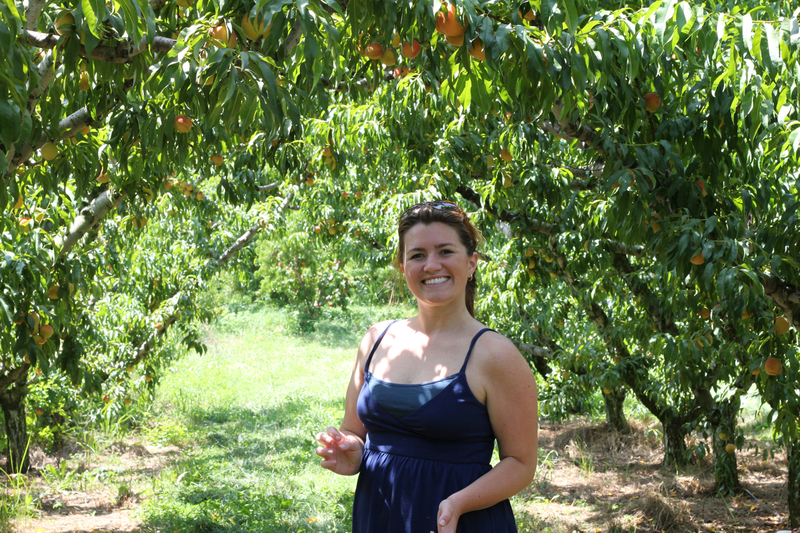 After a fun morning at the City Market, my good friend Emily and I trekked to Crozet, Virginia to Chiles Peach Orchard. 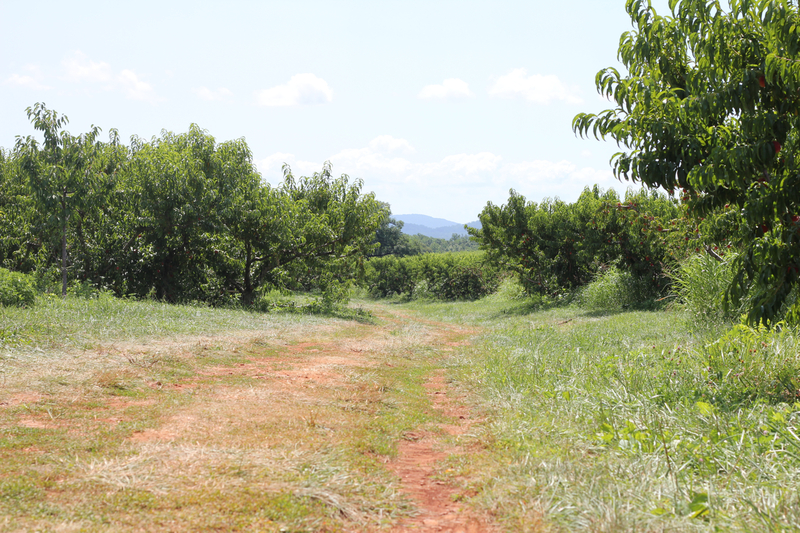 Picture the green hills of Central Virginia, sun bathed peach trees, families pic-nicking and acres of pretty green hills. Here are some pictures of our fun day. Enjoy! 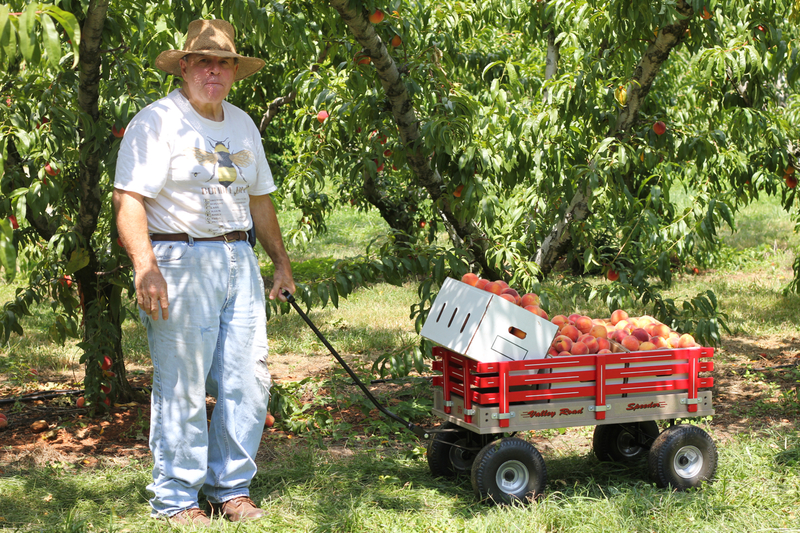 Emily is an experienced peach picker! Look at this peaceful landscape…who wouldn’t want to spend some time in the sun in this place? 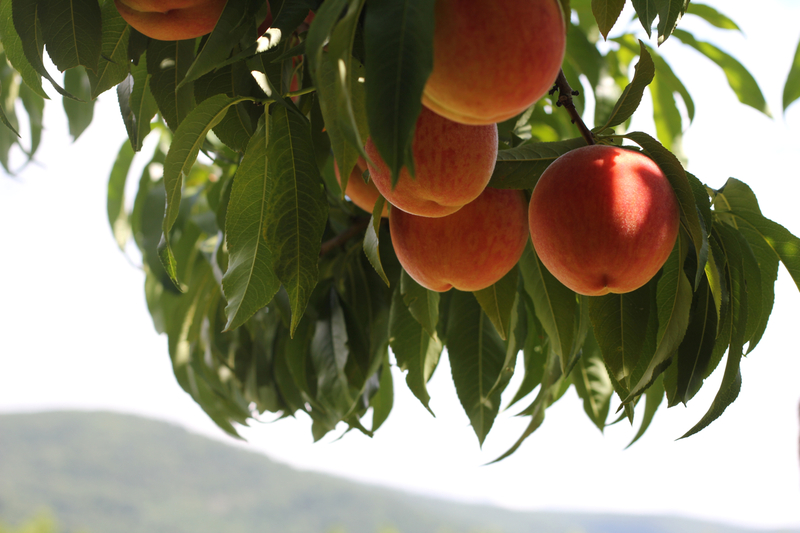 I picked about 10 pounds of peaches. How many peach cobblers can I possibly make? Emily gave me a super tasty recipe for a spicy peach salsa. Stay tuned. We’ll blow your minds. 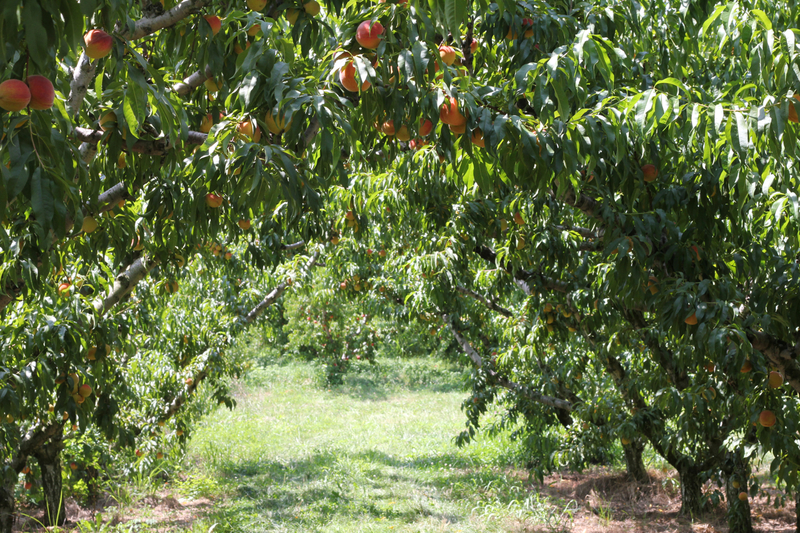 Chiles Peach Orchard is open from April through Thanksgiving and it might be the best kept secret in town – at least for me! An enthusiastic and friendly picker!